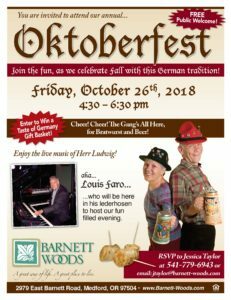 Come to OKTOBERFEST AT BARNETT WOODS! You are invited to attend our annual Oktoberfest! Join the fun, as we celebrate Fall with this German tradition! It is free and open to the public! Enter to Win a Taste of Germany Gift Basket! Cheer! Cheer! The Gang’s All Here, for Bratwurst and Beer! Enjoy the live music of Herr Ludwig! 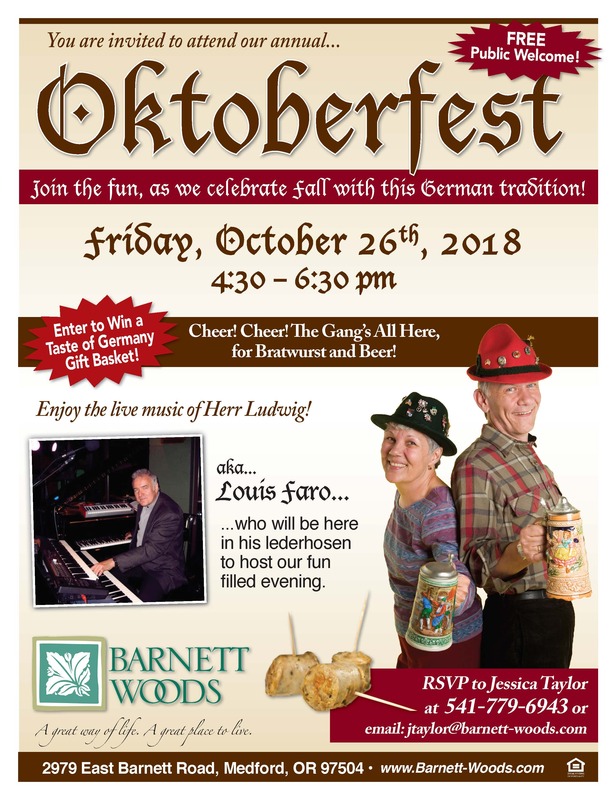 aka… Louis Faro who will be here in his lederhosen to host our fun filled evening.